I don’t really go to Ortigas because it’s far from home. However, there are certain circumstances that would warrant me to drive all the way there, which I did today….for a matter of a dozen donuts! 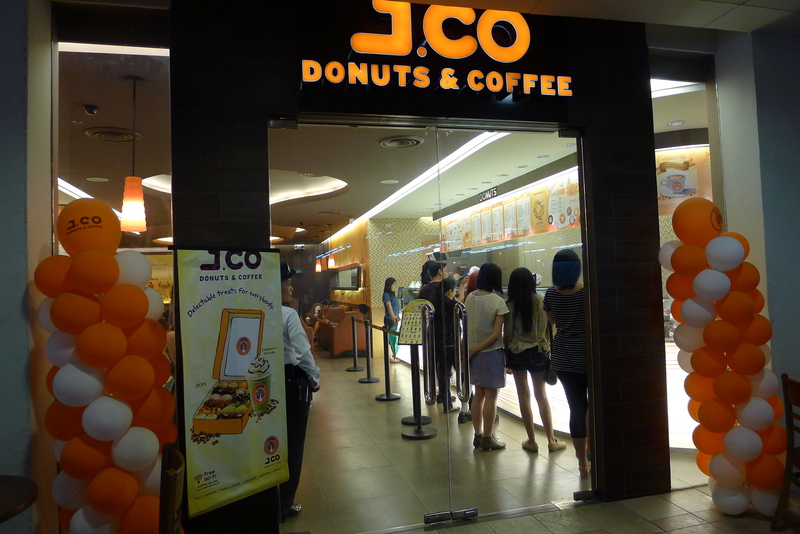 J.CO Donuts is an Indonesian brand which recently opened at SM Megamall. I was never a fan of donuts and the real reason that opted me to check out the place is because I made a promise to my friend Riz that I would check it out on my free time. When I arrived, I was surprised to see a lot of people in the store. 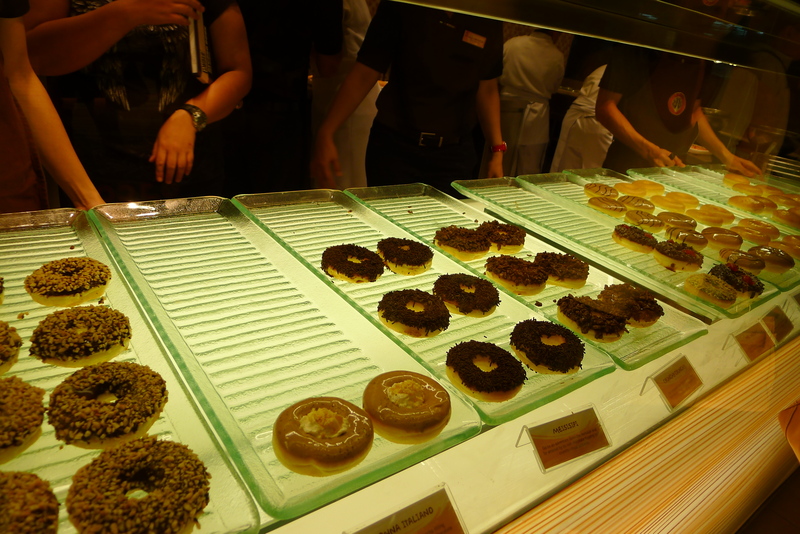 In fact, they sell donuts so fast it’s like they’re selling pandesal in the morning! Just after a few minutes, the rack would be empty. Nevertheless, they replenish their stocks constantly. The donuts are guaranteed fresh and the toppings are made from scratch. 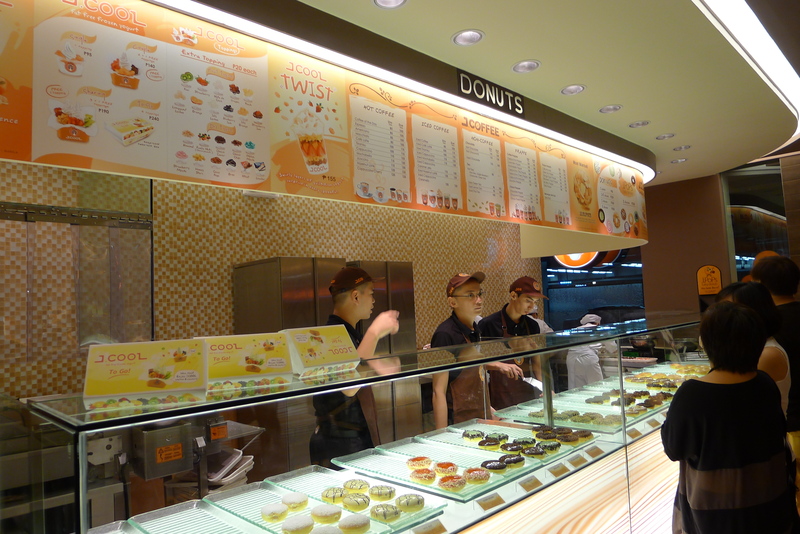 From the counter, you can see the bakers melt chocolate and put the filings inside the donuts. It was truly an interesting view on how everything was made. 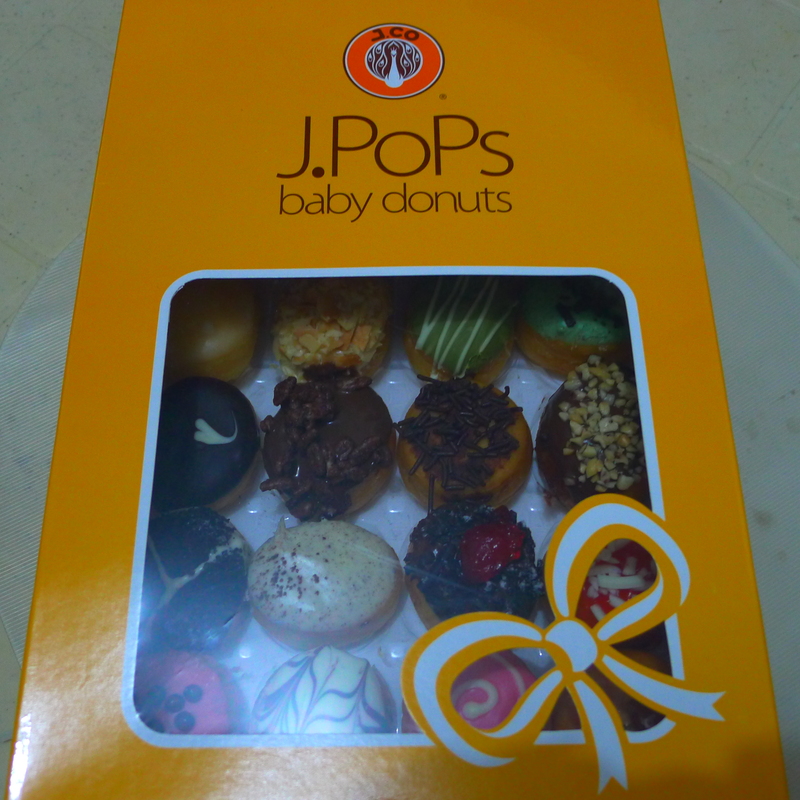 And since I’m new to the brand, I bought their J.POPS Baby Donuts so I can try everything! 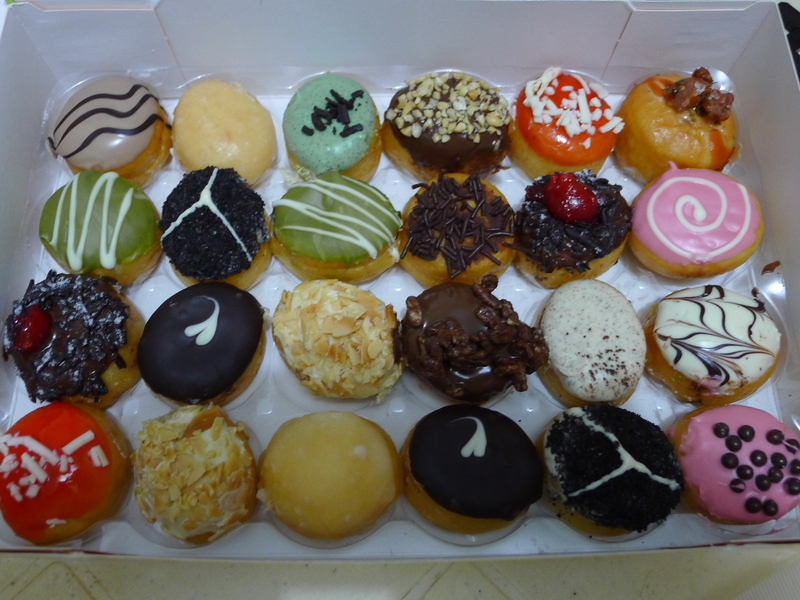 A box of these assorted bites-size donuts cost P250. It’s really the best choice for those customers who just want to try every flavor on the menu. Again stated, I am not a fan of donuts so I don’t have much expectation from these babies. I just wanted to try them out of curiosity. Upon tasting, I said to myself “wow, this is good!” The factor that separates J.CO from other stores is that their donuts are not too sweet. I mean it! You can eat out a whole box without feeling diabetic after. Moreover, their donuts differ in taste.You can distinguish one flavor from the other. Hindi siya puro lasang matamis lang. I would definitely buy again! I am looking forward to their Trinoma and Mall of Asia branch opening.